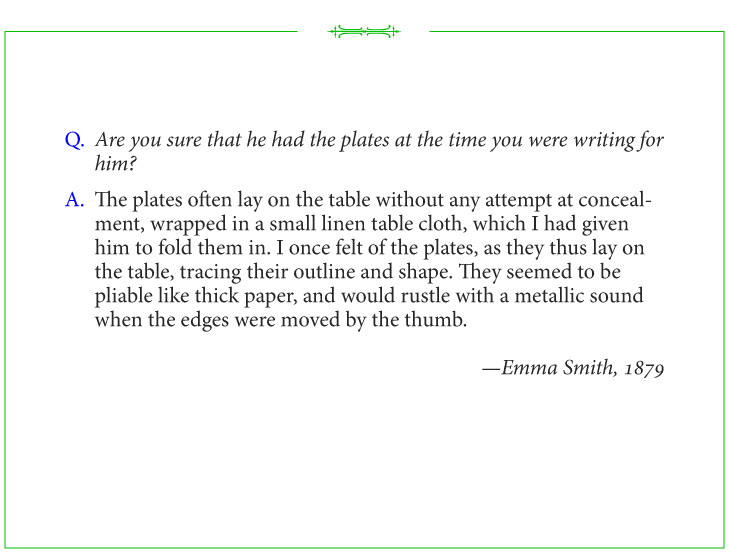 In an 1879 interview, Emma Smith described the plates of Mormon, which she had once felt beneath the linen cloth that covered them. She recalled that they were pliable like thick paper but rustled with a metallic sound when they were moved. Though Emma did not directly see the plates, she stands as yet another witness verifying the Book of Mormon’s authentic origin.